Hardcover, 9.5 x 11.25 in. / 144 pgs / 83 color. Text by Jonathan P. Watts, Ossian Ward, Florence Derieux. 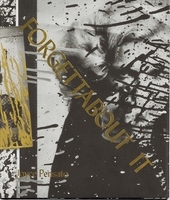 Joyce Pensato: Forgettabout It surveys the collaboration between the painter (born 1941) and Lisson Gallery over the last three years. It is loosely chronological, but also ordered by medium, subject and style, ultimately ruled by an idiosyncratic logic of the eye. FORMAT: Hbk, 9.5 x 11.25 in. / 144 pgs / 83 color.